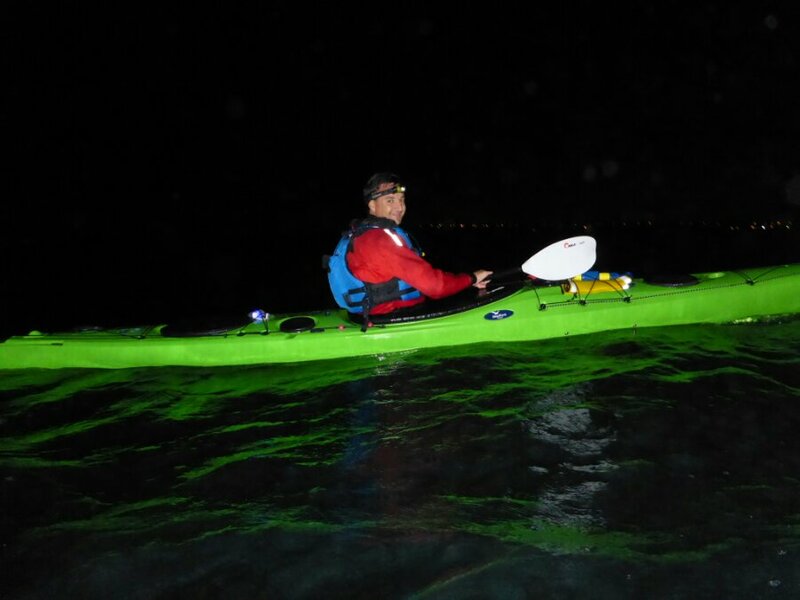 With only a few days to go before the big trip we went for a night session to test out a few things like G-Man’s rudder repairs and my new “spare” paddle. 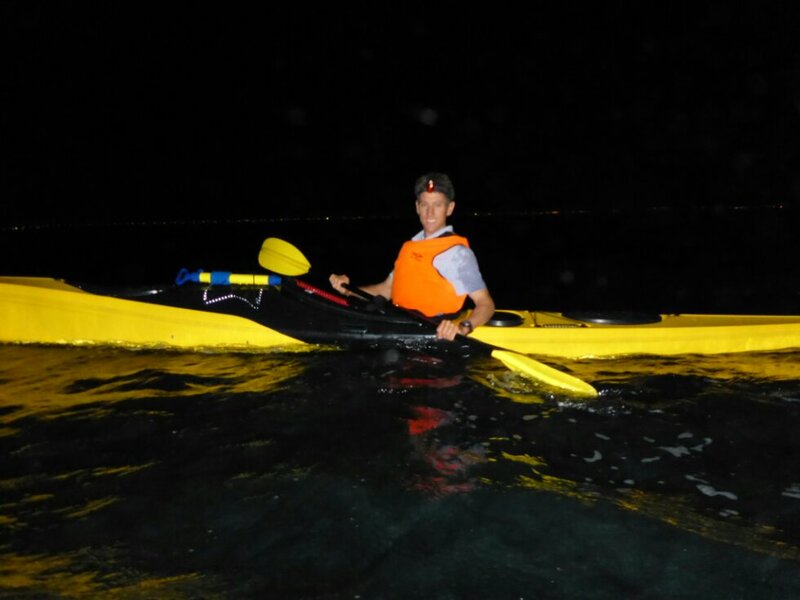 Hardman is no stranger to a night paddle so he came along too. When we got back to the carpark and were packing up our gear the Police rolled up in the Critical Incident Response van thinking we were abalone poachers. I expect it was G-Man who caught their attention as he had left his paddling pants at home and was quite exposed. Previous PostTrip Report: Short overnight shake downNext PostStrait Update: Ready, Set…..Wait! I wonder if the passing police helicopter had called in the SWAT team? And in my defence – I had dry shorts on before the enforcement arrived.